Pupil voice is very important to us. 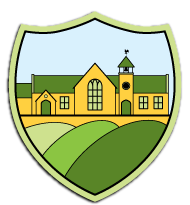 The children’s perspective gives a very informative account of the school’s provision. Children are of course at the heart of all our decisions and we must always ensure that we put their interests before anything else. 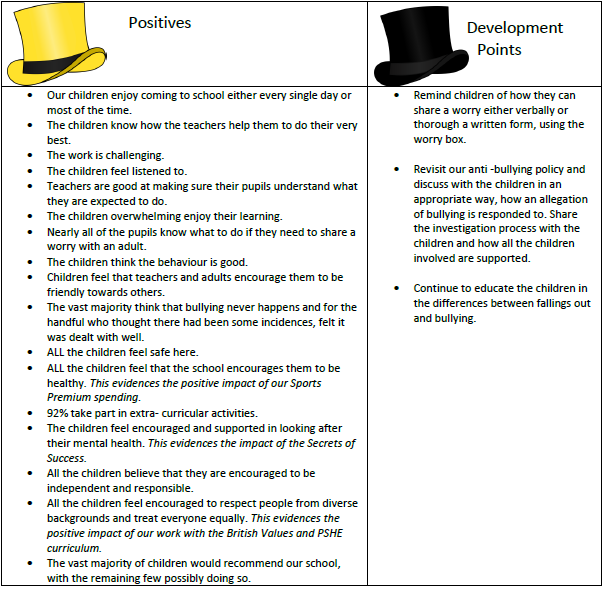 At the end of the spring term we gathered the children’s views and opinions about a wide range of school issues. The questionnaire had 21 questions, which asked the children to think about their feelings and confidence. We asked them about: their enjoyment of school, , if they feel challenged by their learning, behaviour , bullying, feeling safe, sharing their worries, extra-curricular activities, physical fitness and mental health, cultural diversity and relationships with staff.